SS: Congratulations on more than playing your part in a dazzling BA show (in terms of menswear in particular). 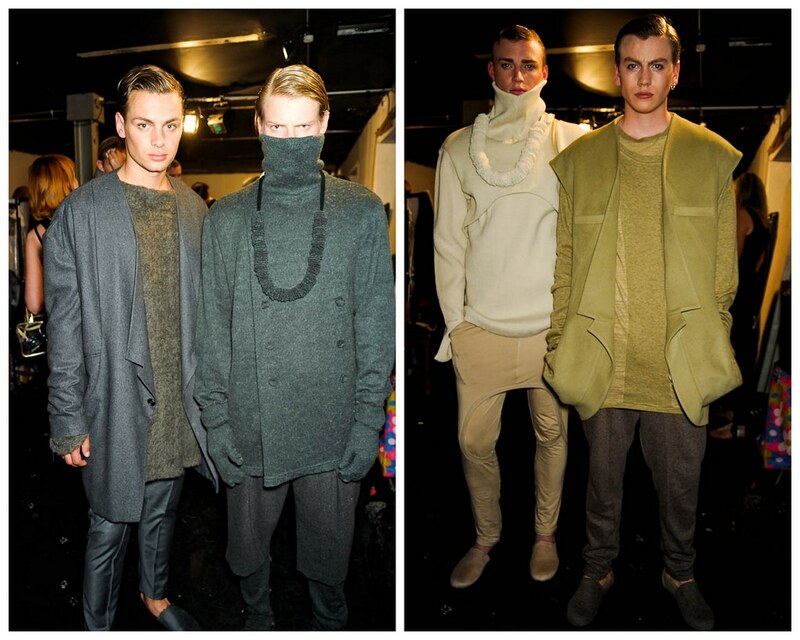 How did it feel seeing your finished designs on the catwalk? Jung Sun Kim: I have mixed feelings of joy and sorrow. I felt full of passion and pride in myself when I showed the catwalk of my collection at the first time. I have indescribable pleasure for what I have achieved so far. I really enjoyed it, but I felt a sense of frustration at how the huge project ended the way it did. SS: What attracted you to the LCF BA course in particular? What was the best thing about your course? And the worst? 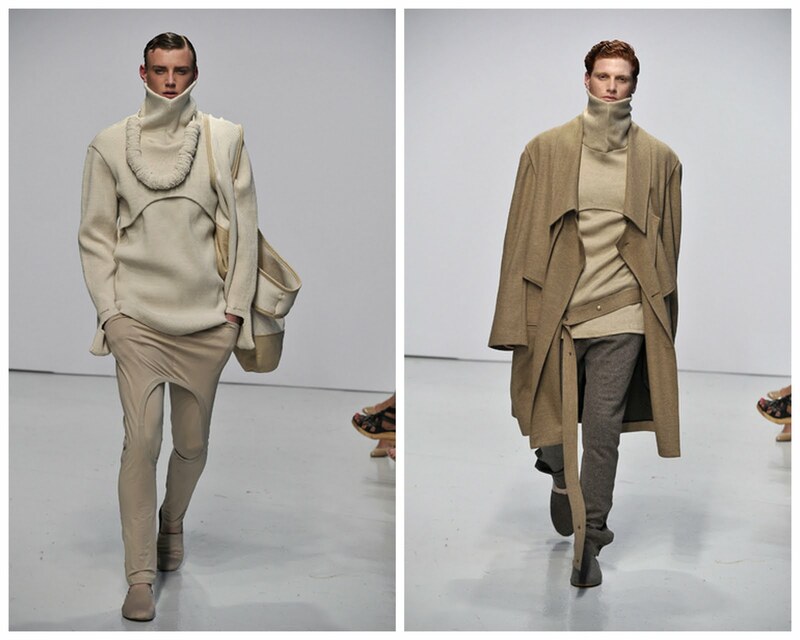 Jung Sun Kim: The study environment at LCF was the best. 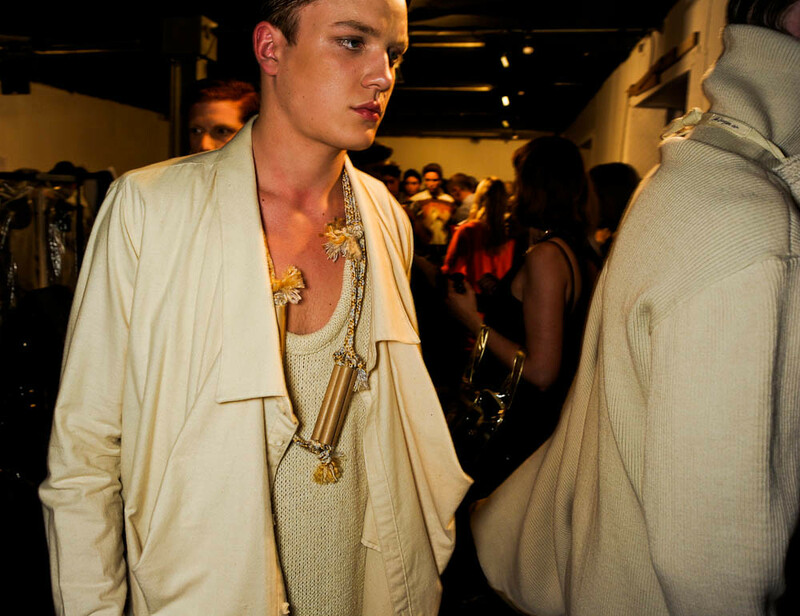 LCF has got fantastic facilities for studying about fashion. I could spend lots of time in the school doing research and reading the appropriate books and various resources in the library and experimenting with toiling with a variety of sewing machine and print work with silkscreen etc... And the worst thing was most of the projects were independent; therefore I couldn’t see many other students’ work. I was thinking if I could share some ideas with other students would be better at design development and communication. Rene Magritte's 'Song of Love' was the starting point for the collection. Jung Sun Kim: The name of my collection is ‘The way of the world’. This concept comes from working with the idea of ‘Upside-down’, developed from optical illusions, together with distorted geometry, depending on its effect upon being a contrasting image presented to the eye through a frame turned in 180°. 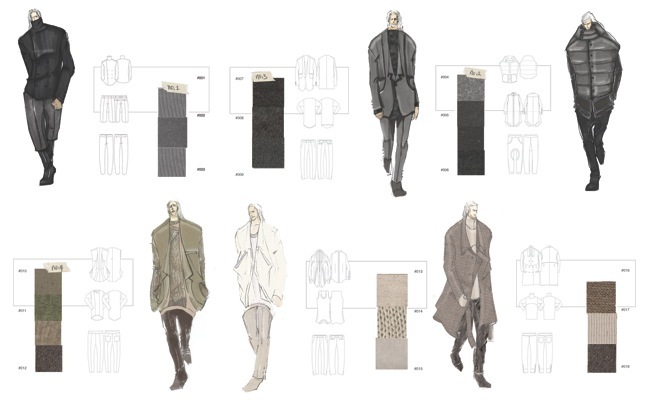 I used these ideas for experimentation of pattern making for the garments. A look inside Jade's sketchbook. SS: What was your starting point and how did the collection evolve in to what we saw at The Dairy? Jung Sun Kim: I started development with one of my favorite painting; Rene Magritte’s ‘Song of Love’. 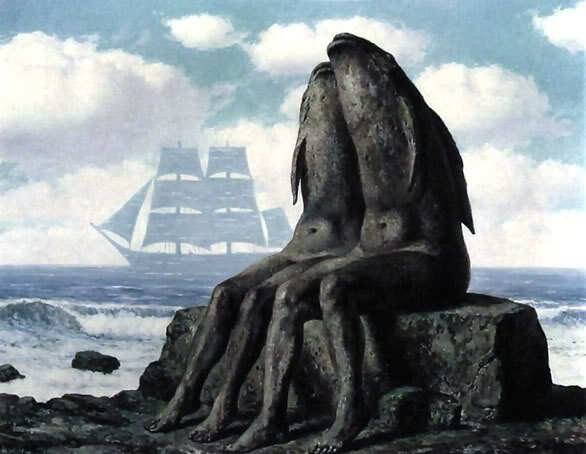 This surrealist painting impressed me very much and I started to think about surrealistic things as well as impossible ideas such as illusions and distorted geometries. At that time, I found other interesting images from the book, which is called ‘Perspective and other Optical Illusions’. The pictures in the book all show different perspectives when simply rotated. One of the images shows two different faces when rotated in 180°. The other also shows Escher’s lithograph of staircases that has three-fold rotational viewings. I used these ideas for experimentation of pattern making for the garments. 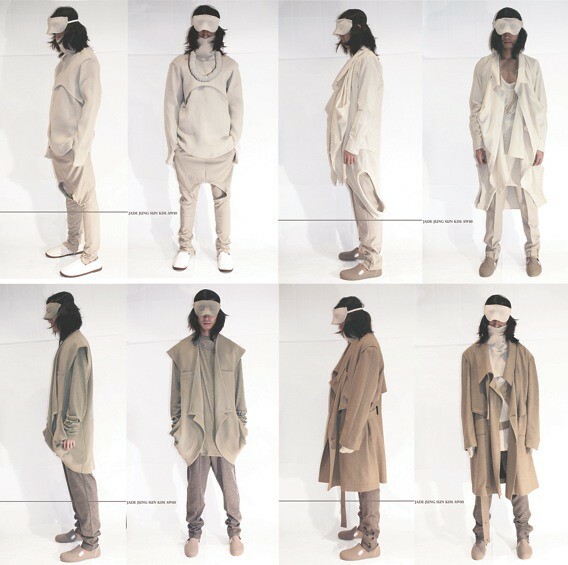 What I focused on in this collection was to integrate the ideas of avant-garde propensity that comes from the overall thinking of the deconstruction of garments within modern fashion. I also want to show the upside down effect through fabrication and details. For this reason, I intend to utilise fabrics with different characteristics for the entire collection, for example; using non-stretched fabrics (woven) with different weights of Stretched fabrics (jersey, knit, different weight of ribs...etc) focused on using innovative ways of rearrangement for the cuffs, seams, collar and buttons. A few key look book shots. SS: What type of man can you see wearing it? Jung Sun Kim: I was thinking a beautiful skinny young man. 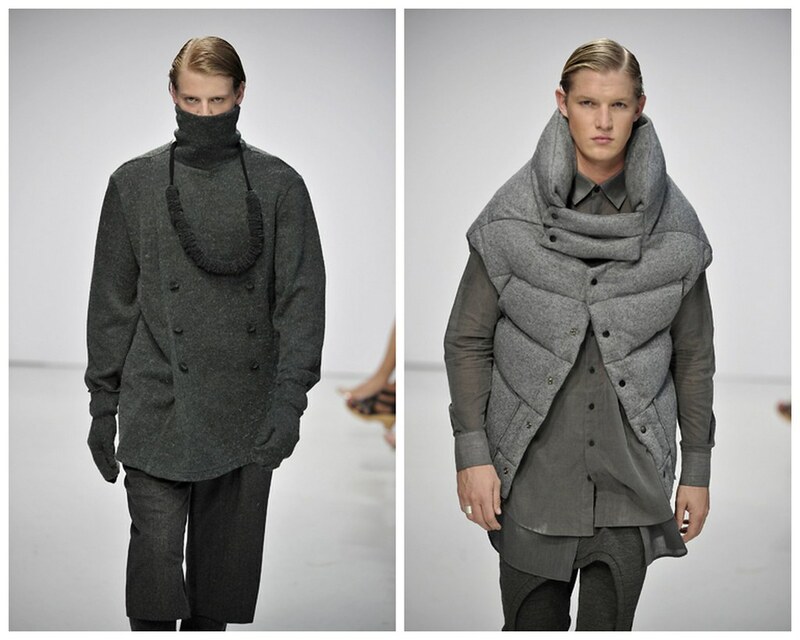 He has got strong personality and is concerned about fashion trend. SS: I know this is difficult question to answer but have you got a favorite, anything that you were most proud of? Jung Sun Kim: This is very difficult question, but actually I have. My last outfit, the trench coat is my favorite. Jung Sun Kim: I would like to achieve many things in many different ways. I might have to start working in industry but I would like to study more by myself to develop my own skills and knowledge. But in this summer, I will do some traveling to see more of the world. The fact that this is a BA collection is astounding. 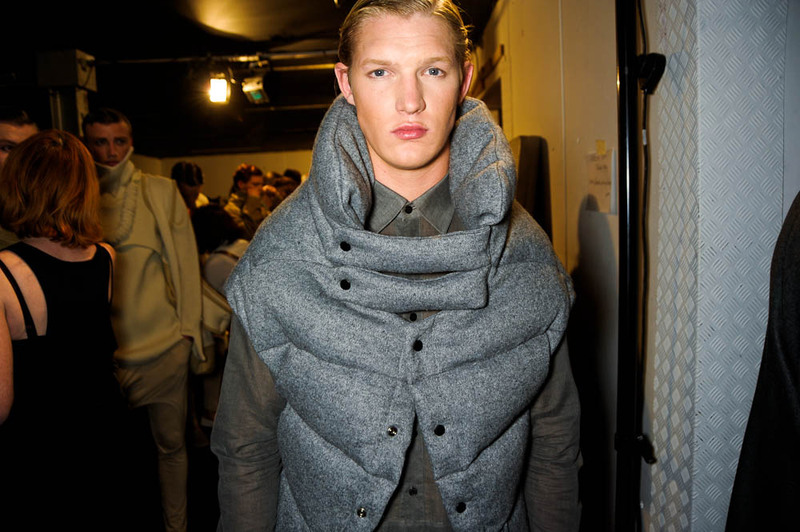 Menswear has never known it so well. Wow, love this collection. Great find.